Find tours through Umbria. Cycle the wine trails from Perugia to Assisi, climb up to Montefalco to witness stunning views, take cooking classes in Umbria and explore medieval villages of the area. 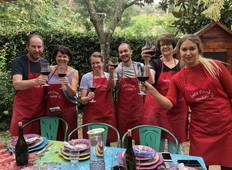 "Once I met up with my group of fellow Italy enthusiasts I felt from day one that..."
"Beautiful setting tucked away near Perugia. I stayed for 4 nights on Raffaella's..."
"Absolutely amazing. Would recommend to anyone to experience authentic cuisine Raffaella..."
Bike and Wine tour in Umbria! 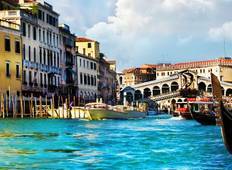 "This itinerary is a wonderful blend between cities and countryside. Our local guide,..."
"Let's Cook in Umbria gets a five star recommendation from me. I took a blind friend..."